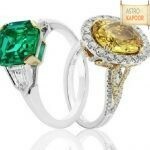 Tourmaline is an unsurpassable stone, both in benefits and in the beauty of its color. It is very versatile and brings a positive influence to everyone. Tourmaline is a sensitive stone for sensitive people. It is subtle,gentle, yet powerful. It is both piezoelectric and pyroelectric.It is a gem of translucent light, and sometimes has layers and layers of colors-hues and shades. Watermelon Tourmaline is a bi-colored gem with fascinating qualities. 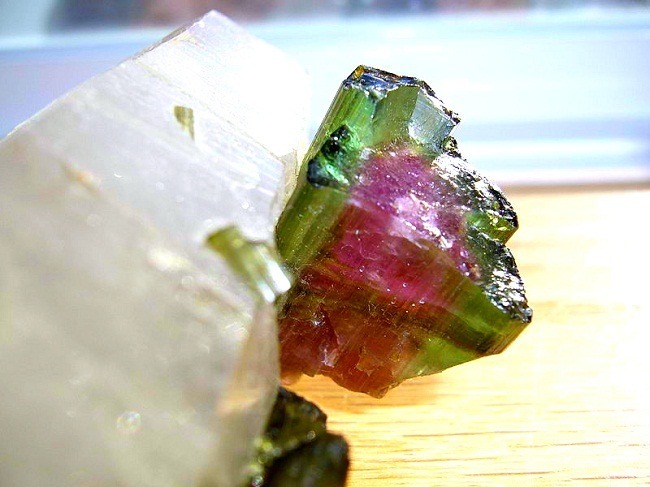 It has an unique combination of green, pink and blue tourmaline. The green shade in tourmaline can vary from light to darker in shades. Green resonates with Heart Chakra. Pink goes with Heart Chakra, love and relationships and emotional healing. Blue goes with Throat chakra, enabling you to speak the truth and practice kindness and compassion in your converstaion. When it is cut cross section wise, it reminds us of water melon because of its green rind and pink core. It symbolizes the pairs of opposites, the principles of yin-yang. It can help balance and redirect energies. It aids all who wants to seek their soulmate. Watermelon Tourmaline is also referred as a stone of soulmate relationships. It is great aid in removing imbalances and guilt produced by conflicts and confusion about individual roles. It teaches us to be self contained, integrated and secure. Watermelon Tourmaline is a rare variety of Tourmaline found in beautiful shades of two colors. It strengthens the body and the spirit, and protects the wearer against the dangers of misfortune. 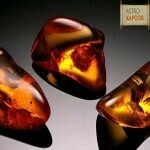 It balances male/female energies and is good for attracting love. It enhances inspiration and self confidence. It builds the capacity to look into the past situation of the wearer. It discards rigidity in thought and concept and helps to become more open and flexible. It has the capacity to balance conflicting forces. outside us. 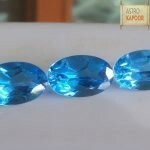 It is used in jewelery, pendants, ring and necklace. Watermelon Tourmaline earrings are used as a product for enhancing beauty. Watermelon Tourmaline enhances energy flow. It is an excellent stone for healing. It removes blockage. 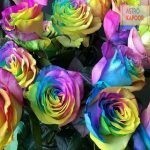 Each of the different colors has its own specific healing ability.